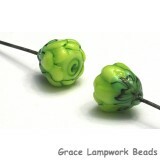 Our Glass Flower Headpins come in 11 colors. 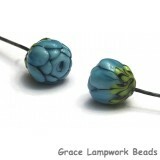 The flower is approximately 8mm x 9mm and the base metal pin is approximately 3" long. 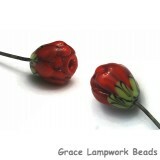 Since they are handmade, sizes may vary slightly. 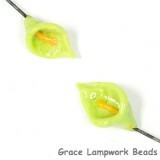 Headpins are sold individually, not in pairs. 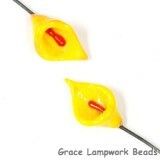 There are many ways to use the headpins. 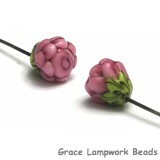 1) Use it as normal head pin by stringing additional beads on it. 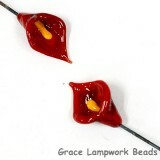 2) Adding seed beads on the wire to create a flower stem. 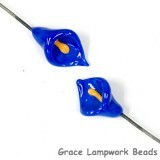 3) Wire wrap silver or copper wire around the base metal wire to create a nice design. 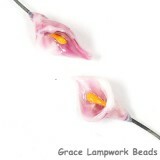 4) Wrap fabric/silk around the wire. 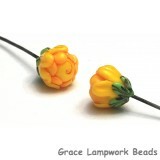 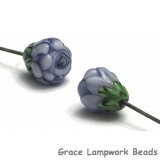 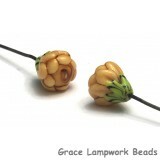 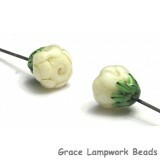 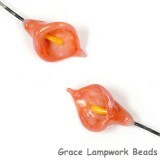 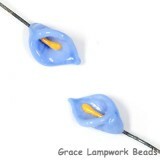 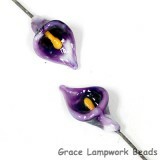 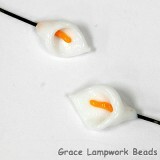 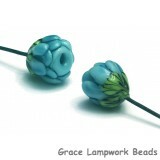 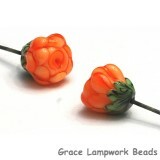 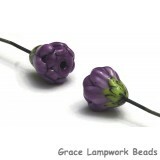 Simply cut the extra wire, make a small flower bud charm, then use in your earring, bracelet or necklace projects. 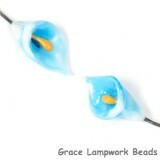 Use your endless imagination to create something fun!